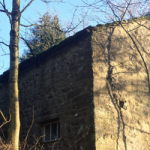 We are delighted to have successfully overcome the initial concerns from the Yorkshire Dale National Park Authority to convert a disused agricultural barn to a large residential dwelling with the future option for holiday let use. The application has been recommended for approval subject to Section 106 Legal Agreement. Our architecture team designed the scheme working alongside our planner, Christopher Binns who engaged a number of specialists to assist with various aspects; ecology specialists Naturally Wild, surveyors Paul Waite Associates, foul drainage specialists RA Dalton and Arboriculture Tree Services as well as overcoming the various planning and heritage issues. We look forward to a determination on the project, as we see more holiday let conversions of similar circumstance forthcoming. For many landowners,it is a great way to introduce new revenue streams from their assets.